Almost a quarter of UK adults (24%) have used their mobile phone to make an in-store mobile payment and 12% do so on a regular basis, the Prepaid International Forum (PIF) reports. 49% of 18 to 24 year olds have used mobile payments, while 12% of over 55s and 5% of over 65s have done so. The highest usage of mobile payments is in Northern Ireland with 33%, followed by Yorkshire and the North West with 29% and London with 28%. 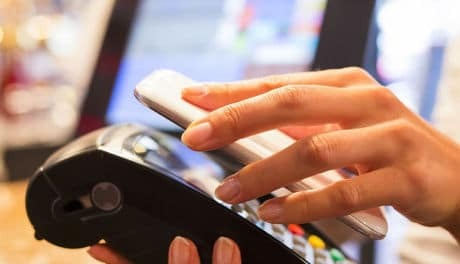 ‘The Future of Mobile Payments’ report, based on a survey of 1,000 UK adults, also reveals that the majority of consumers under the age of 44 expect mobile to replace cash and plastic as their main means of making payments within the next few years. The main reasons for making the switch to mobile payments were being able to see real-time account and balance information (47% of consumers), as well as the greater convenience of being able to carry just their phone (39%). “The innovation in mobile payments has led to many consumers using their mobile phone to pay,” says PIF’s Alastair Graham. “While uptake to date has been steady, many people are gaining confidence in mobile payments.